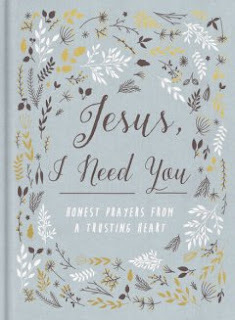 Jesus, I Need You Honest Prayers from a Trusting Heart By Zondervan is a brand new devotional book for those readers seeking inspiration and guidance for their days. Just as the title indicates, it is a humbling experience to have the wisdom to know that you need Jesus in your day to day life. This book is organized by topic. The table of contents is divided into topical prayer areas such as guidance, comfort, wisdom and heartache to enable thye reader to easily navigate the book depending ion need. For those who need somewhere to turn immediately this is a helpful feature. In this modern day of independence, and self sufficiency, where many take pride in saying they have the strength to navigate life independent of God- this devotional book focuses on prayers that empower the reader to learn to rely more on Jesus. Psalm 14:1 1The fool says in his heart, "There is no God." They are corrupt, their deeds are vile; there is no one who does good. Yet, how many actually take this scripture to heart? Not many. It isn't weakness, nor foolishness that leads to dependence on God. Quite the contrary, it is wisdom and strength and the wisdom of this world that gives the ever present message that Jesus is irrelevant or antiquated is actually foolishness and leads the way to eternal death. Self sufficiency, hope and strength cannot be found apart from Jesus. This book is a good starting point to reflect on these truths. As a blogger for Booklook I received a copy of the book for the purpose of writing this review.